During summers, I keep some bowls of fresh water in the balcony for birds. 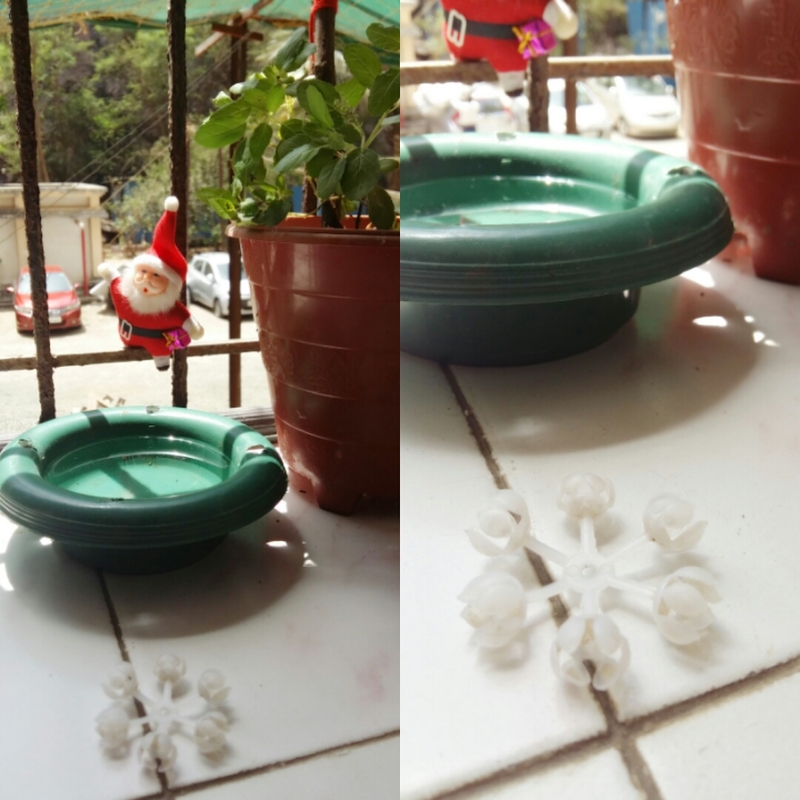 Every day I rinse, and refilled them with fresh water. To be very frank, I have a super selfish motive behind this. I believe, our present time is seed time; in the other world we shall reap as we sow now. I am a water baby, I do this so that I will always get sheer abundance of water. Today after cleaning the bowls, I forgot to put fresh water in them. I realized it, when I saw a crow staring at a water bottle which is kept near the balcony. Without skipping a beat, I poured water into the bowl. While the thirsty crow was drinking water, I offered him a cookie, which he accepted without any hesitation. He dunked the cookie in water (probably to soften it) and flew away. When he came back after 10-15 mins, he was holding something strange in his beak and threw it towards me. I don't know, what it is? And why the crow gave it to me? Probably he wants to say thanks.